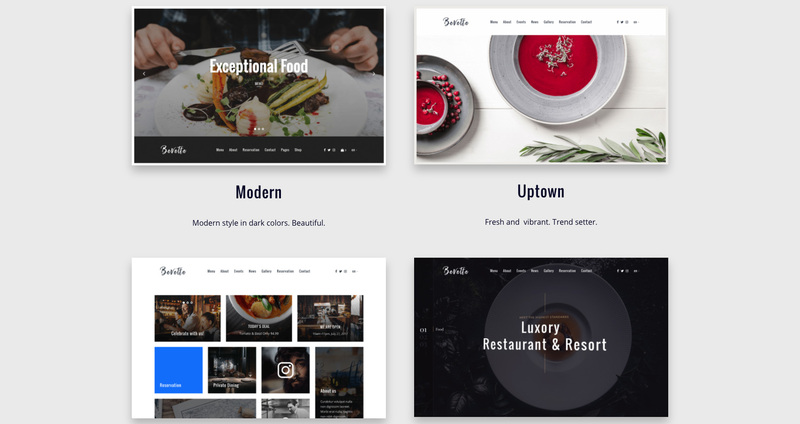 If you’re looking for a nice new WordPress theme for your food blog or have a food-related business that needs a new cover, this post is for you. 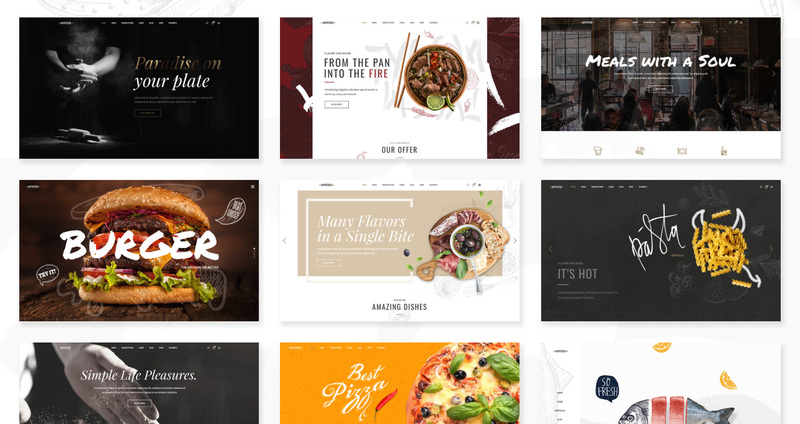 In this post, we’ve collected 6 food WordPress themes made exclusively for cafes, restaurants, bar, bakeries, and other food-related businesses that released in September 2017. Appetito is a new theme made for all types of restaurants and cafes, packed with twelve exquisite homepage layouts for all tastes. It has many predesigned layouts for various aspects of your restaurant helping you advertise your menu, food dishes, pricing, staffs, blogs and much more. It uses the popular Visual Composer page builder as well as the stunning Slider Revolution. Both plugins are included for free so you don’t need to buy the licenses again. For reservation, it supports OpenTable which you can check here. Don’t forget to check the creative homepage layouts, for example, see how awesome this seafood one is. I like the menu design, it looks really delicious! This one is another awesome Food theme released in September 2017. Bevette is suitable for any type of restaurant, cafe, sushi bar, bistro, bar, and any other food-related businesses. You get the essential features that a restaurant may need such as menu, gallery, blog, reservation plugin, staff, events, and support of WooCommerce online shop. Bevette comes with Visual Composer (included for free), Slider Revolution (included for free). 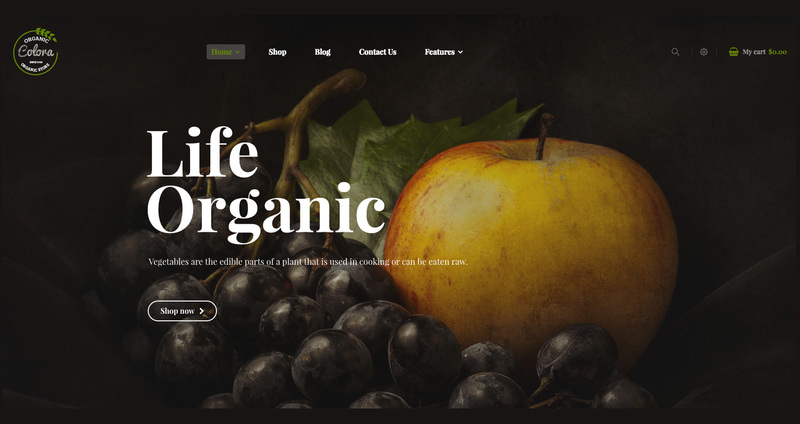 Colora is WooCommerce theme made for selling organic foods, bread, fruits, wine, etc. It comes with 4 homepage layouts which are powered by Visual Composer page builder. It also has a nice mega menu and a special navigation menu for mobile devices to ease the user experience. Colora packed with some cool widgets that bring better user experience for your customers including “Daily Deal” module, product slider, blog module and category tab slider for products. There’s also a timer feature which is shown on each discounted product in Daily Deal element. 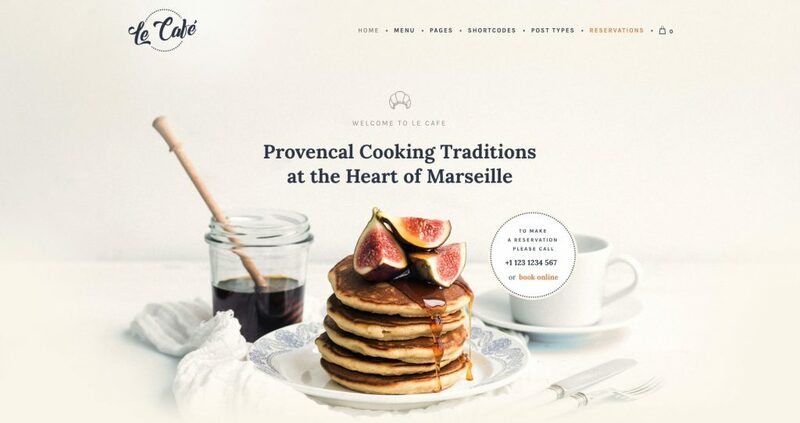 This WordPress theme is dedicated to cafe related businesses. First of all, I personally enjoyed the design especially the nice typography. The homepage looks shiny light and full of energy. The designer has used a good balance of white space as well as an awesome color set. There are also some cool icons used in grey in some sections that are really eye-catching! Don’t forget to browse the various menu layouts that Le Cafe offers. Also the different blogs layouts, project pages, shop, and the reservation. They’re all designed very well. Ecofood has also focused on Organic food-related businesses. If you have a farm and produce organic products, this theme has considered what you need and offer them all in one. 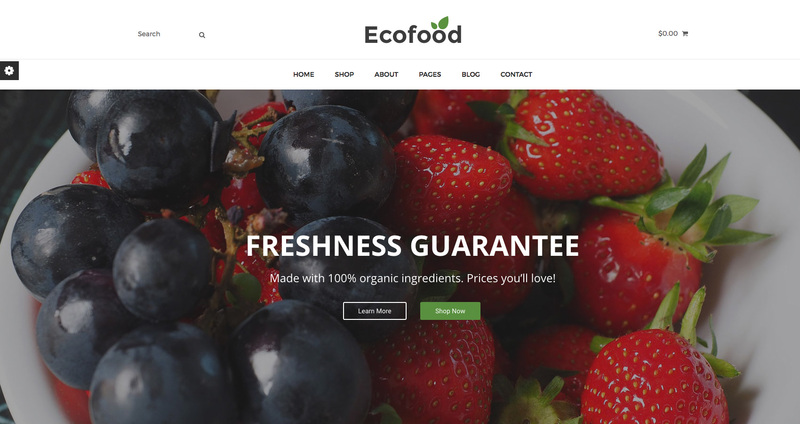 Ecofood comes with four homepage designs; choose each one you prefer and start selling your organic products. The good news is all you need is an installed WordPress because this WordPress theme comes with One-click import demo support meaning that you have the similar to demo website by just one click! 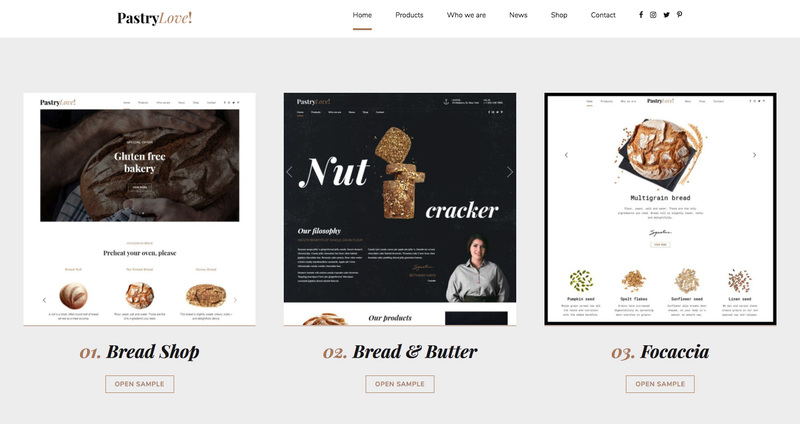 PastryLove is our final food WordPress theme from our list made exclusively for bakery and pastry shops. It comes with 6 unique homepage layouts, WooCommerce support, dedicated bakery shortcodes, custom icon sets, different header layouts, a page builder and many more features. P.S. if you’re a blogger looking for Food Blog WordPress themes, check our other post featuring the best of them.